After comparing Google Desktop Search and the Microsoft Vista search tools, I’ve decided that Google wins hands down. So I switched off the Windows search indexer. I don’t need everything indexed twice, right? 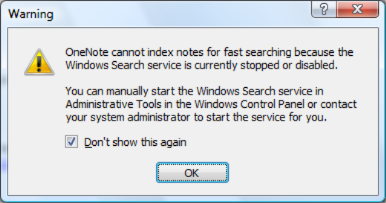 When running on Vista, OneNote uses Vista’s search capabilities instead of its own built-in capability (that it must have to work on XP). If other applications follow this lead, then either users will be forced to have the OS search in addition to whichever search they’ve chosen, or the search tools will have to implement the interfaces that OneNote and other apps are using. The latter would be the best, I think, but Google’s not using I/O priorities or IFilters makes it seem like they’re not interested in integrating too well with Windows, so I wouldn’t expect them to do it. 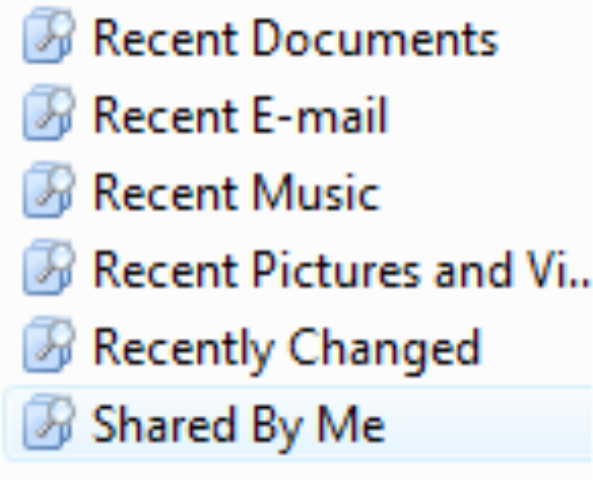 Another useful Vista feature, Search Folders, depends on Vista’s search service. I can understand this one not working. What would be ideal would be if the search service were layered such that the API is provided by Windows, and Windows calls down to a search engine that does the actual work. I’d love to plug Google’s engine into Vista’s API. Problem is Google is pushing to be on the desktop not just to help you, but to capture your attention, and they can’t do that if you’re not using their UI. Hopefully someone else will come along with a search engine designed to integrate with Vista. This entry was posted on Friday, March 9th, 2007 at 6:46 am.